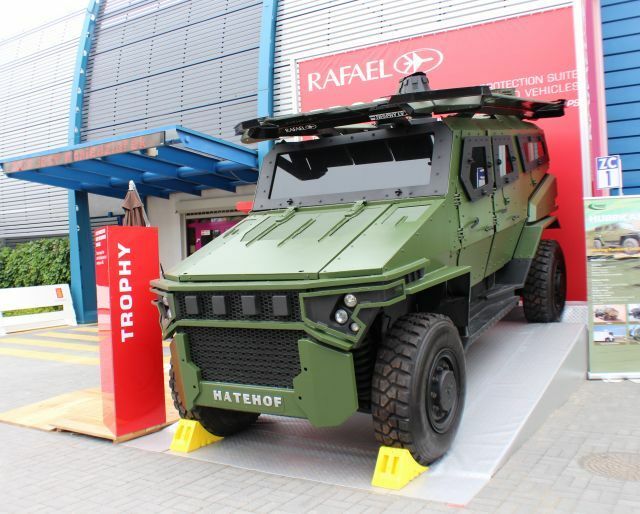 DRS Technologies and Israeli-based Rafael Advanced Defense Systems are asking the US Army to consider acquiring the Trophy Active Protection System. There is no doubt that the success of the system during Operation Protective Edge which ended recently in Gaza brought it to the center of the negotiating table when it comes to the protection of armored vehicles in asymmetrical warfare. “Dozens of threats were launched at these platforms, many of which would have been lethal to these vehicles. Trophy engaged those threats and defeated them in all cases with no collateral injury and no danger to the dismounts and no false engagement,” said Mike O’Leary, director of business development, DRS Technologies. While the Trophy system was primarily designed to track and destroy approaching enemy fire, it also provides the additional benefit of locating the position of an enemy shooter. “Trophy will not only knock an RPG out of the sky but it will also calculate the shooter’s location. It will enable what we call slew-to-cue. At the same time that the system is defeating the threat that is coming at it, it will enable the main gun or sensor or weapons station to vector with sights to where the threat came from and engage, identify or call in fire. At very least you will get an early warning to enable you to take some kind of action,” O’Leary explained. “The Israelis have developed the Trophy Active Protection System in response to some interesting events in their history. They were the first to encounter extremely advanced guided missiles going back to the 70s all the way up to 2006 and the Lebanon War,” O’Leary said. Although deployed on Israeli tanks, Trophy could easily be configured for a range of U.S. combat vehicles including M1 Abrams tanks, Strykers and HMMWVs, O’Leary concluded. The Trophy is a situational awareness and active protection hard kill system that operates in three major stages: Threat detection and threat tracking followed by hard kill countermeasure (Multiple Explosive Formed Penetrators – MEFP) activation and threat neutralization.